So much for the notion that Special Counsel Robert Mueller’s investigation was finished when he abruptly ended his work and handed in a four hundred page report about Donald Trump. In fact, the more this goes on, the more clear it becomes that when Mueller walked away, his probe was still ramping up, not winding down. Today, Mueller’s team handed off several key ongoing Trump-Russia related criminal cases. So what does it mean? 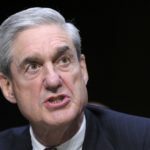 Court filings today revealed that Team Mueller has just handed off the following cases to various permanent federal prosecutors: the existing Roger Stone criminal indictments, the ongoing grand jury matter involving Stone’s associate Andrew Miller, the indictments against Russian hackers, and more. These were all flagged by BuzzFeed’s Zoe Tillman. Here’s the thing: this doesn’t mean that any of these cases are being put to bed. Instead, the handoff means – on paper at least – that these cases, and Mueller’s other ongoing cases, are supposed to move forward full steam ahead without him. This brings us back to the essential question we’ve been asking since it was announced that Robert Mueller was quitting and going home. Did Mueller decide that it was time to inform the public about Donald Trump’s crimes in the form of a final report, and decide to disband his own team because he figured the final report would get him fired anyway? Or did William Barr force Mueller off the job? This matters, because it helps us to understand what’s likely to happen with these cases that have been handed off. If this is all Barr’s doing, he may be planning to quietly shut these ongoing cases down, to whatever extent he can. But if this is all Mueller’s doing, he may have pushed these cases far enough below decks at the DOJ that Barr can’t interfere with them, at least without making a scene in the process. Let’s keep watching where these handed-off cases go next. It’ll tell us a lot about who’s really been driving this train.